If you're anything like me then you're eagerly anticipating the next two games in Nintendo's outrageously brilliant Smash Bros. series which are due to hit both the new Wii U console and the 3DS. Unfortunately a recent interview with Masahiro Sakurai, the games' director, reveals we're all in for a bit of a wait. 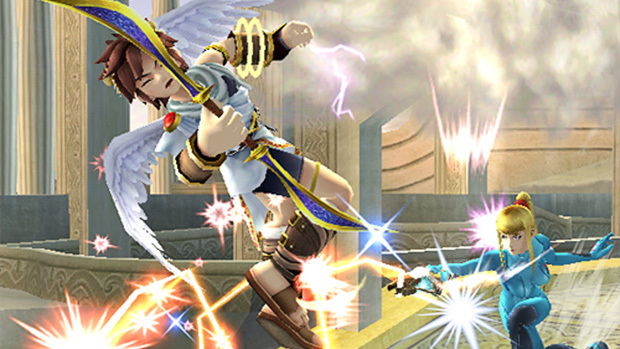 Talking to NowGamer, Sakurai explained that he's focusing on releasing his upcoming 3DS title, Kid Icarus: Uprising, and has yet to decide how to best utilize the Wii U's controller for the as of yet unnamed sequel to 2008's Super Smash Bros. Brawl. "I will think about this once Kid Icarus is complete," Sakurai said, "but as it is a game of a competitive nature, I do not think that any one person should have an advantage." Of Brawl, Sakurai says that "there are many things that can be improved upon" and that we should set our expectations for the forthcoming game "once you see how well-made Kid Icarus is". A big feature -- and for many, the key selling point -- of the Smash Bros. series is the expansive roster and fans are desperate to know who they'll get to smack around in the next game. But with almost every major Nintendo character already in the game, there may not be quite as many fresh faces as fans may hope. When asked who he would like to bring to the next game, Sakurai states "that is completely undecided," adding, "but it is true that Nintendo has not created many new characters lately." While it's a shame that it will be a long time before we'll see a new Smash Bros., it's at least reassuring to hear that a developer is concentrating on perfecting one game at a time rather than rushing titles out as has become the fashion in recent years. Kid Icarus: Uprising is looking like it could be fairly good and if the previous games are anything to go by then the next Smash Bros. should be well worth the wait.